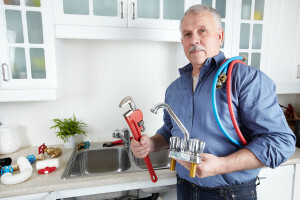 If your Manhattan or Brooklyn residence is in need of all new plumbing, make sure you seek the help of a reputable and experienced plumber to handle the job for you. Star Cities Plumbing & Heating is here to give you the expert help you need and will make sure your new plumbing is installed correctly and to current industry standards. We can also help you out if you are ever in need of an emergency plumber for your existing plumbing. We’ll also be there when you are in need of an emergency plumber for your existing plumbing work. Star Cities Plumbing & Heating specializes in quick response times, complete honesty and competitive pricing. You can also rest assured knowing all of our plumbers have an up-to-date plumbing license. If you’re in need of plumbing installation or plumbing maintenance, call Star Cities Plumbing & Heating at 800-547-1422 or contact us online.